A neighbor called 9-1-1. In the ambulance, Melisa pleaded with the paramedics to let her die. The doctors didn’t know if she would live. They discussed taking her off life support, but Melisa’s mother wouldn’t allow it—her daughter was only 23. Melisa woke up in the hospital with her mother and husband at her bedside. Her husband was crying and saying how sorry he was. “He said, ‘You are going to get better, and we are going to go for long walks and hold hands,’” recalled Melisa. Any serious burn is difficult to deal with. Being burned as the result of abuse presents unthinkable obstacles. Melisa said, “It was difficult to talk about for a long time. I almost felt responsible for the burn.” Melisa suffered extensive physical damage. 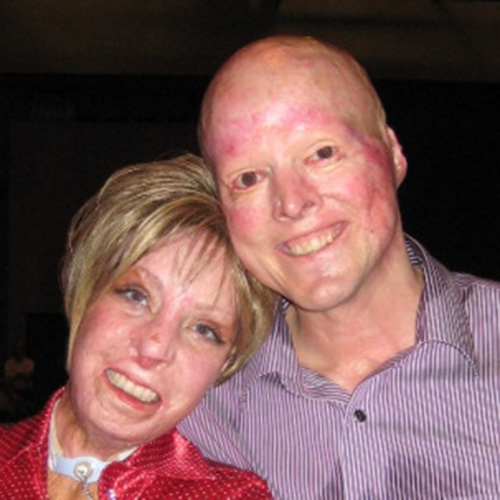 She was burned on every part of her body except her scalp and feet, which were used as donor sites for multiple skin grafts. She lost parts of her hands and fingers. She lost most of her pores and fat cells, so she can no longer sweat or gain weight on most areas of her body. To this day, Melisa still has a tracheotomy. Looking out over the balcony from the 28th floor, Melisa said she knew that if things stayed the way they were, she was going to end up on the ground. She said she feared that either she was going to jump or he was going to push her. That was the deep, dark place to which Melisa was confined. Although Melisa was healing emotionally, she came to the conclusion that she would never have another intimate relationship. She explains, “I had come to believe and accept the fact that nobody would ever love me, so I learned to be happy alone.” However, fate had a different path in mind for Melisa. Meeting Melisa also had a big impact on Erin. Melisa and Erin kept in touch after the conference. They e-mailed each other and had many late night phone calls. Their relationship continued to develop and they became committed to each other. Together, they made the decision that Melisa would move to Colorado. 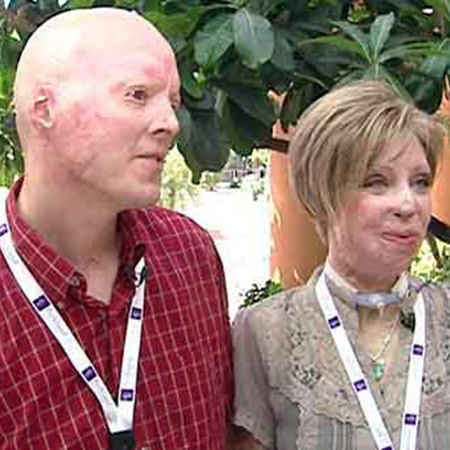 This weekend, hundreds of burn victims are in Galveston for the annual World Burn Congress. 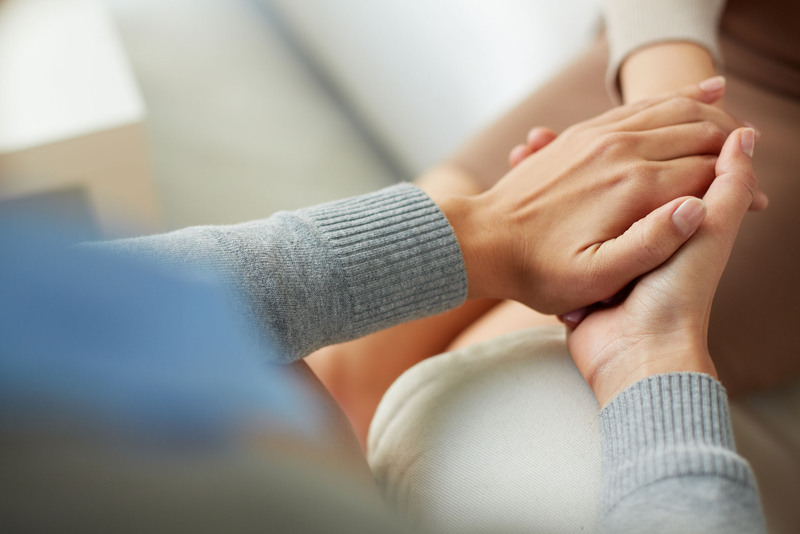 It’s a forum for survivors to share stories and encourage each other through the long road of recovery. But, for one couple it’s also the backdrop for one of the biggest days of their lives. At Station 5 on Galveston Island, it was a union that was just meant to be. It’s one that has its roots in unspeakable tragedy but is now on display to inspire. Within days of that meeting, the couple who thought they’d never find true love, found themselves falling deeper than ever. “For me, it was just this turning point in my life to discover that somebody could love me, and not only that, but it was the best love I ever imagined,” Schoeppler said. And it’s that love that brought them to Station 5 in Galveston Island, where they exchanged vows before their family and other burn survivors. They held their ceremony there to honor the people who saved their lives. “Many times as firefighters, we wonder what we could have done better, what we could’ve done faster, and how we could have had an impact in their lives, when in reality, this is the impact we’ve made in their lives,” Galveston Fire Chief Jeff Smith said. And the occasion doesn’t end there. The couple is already planning their honeymoon, thanks to a generous friend; they’ll be spending it on a Caribbean cruise early next year. Another one is of six-year-old Katherine Koonce, who was burned in the fire at Brennan’s Restaurant in Houston’s midtown.